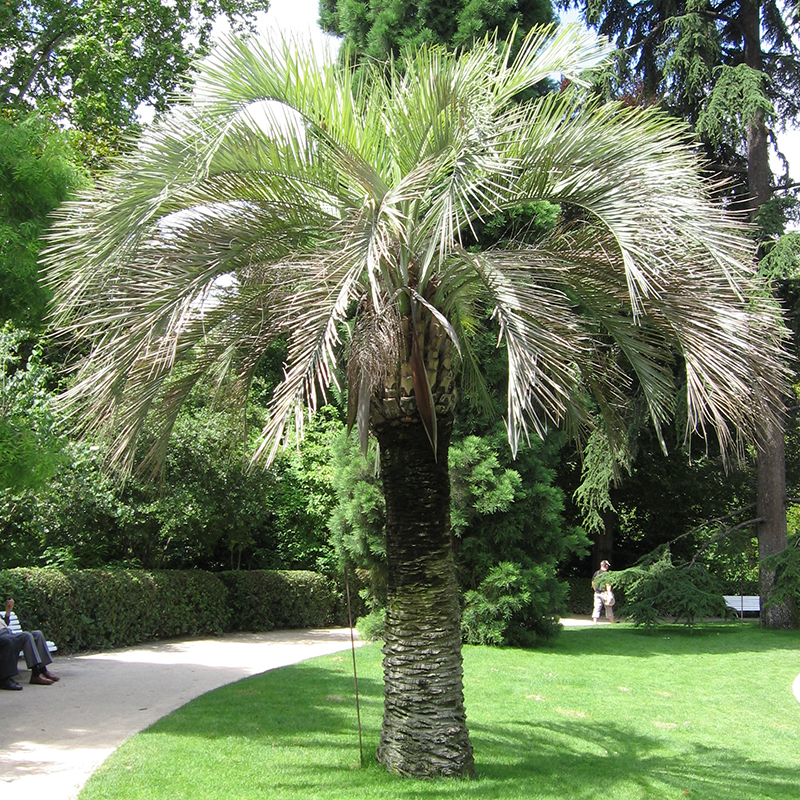 They are ‘feather palms’, with pinnate leaves 2-4 m long. The species vary from nearly stemless plants rarely exceeding 40 cm tall (e.g. 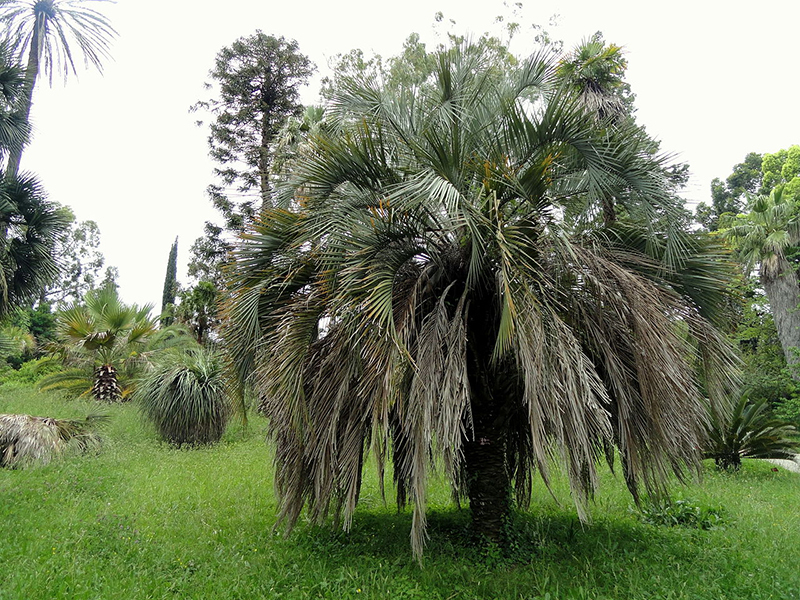 B. campicola) to small trees up to 10 m tall (e.g. B. yatay). 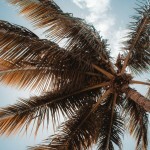 Butia capitata is notable as one of the hardiest feather palms, tolerating temperatures down to about −10 °C; it is widely cultivated in warm temperate regions. 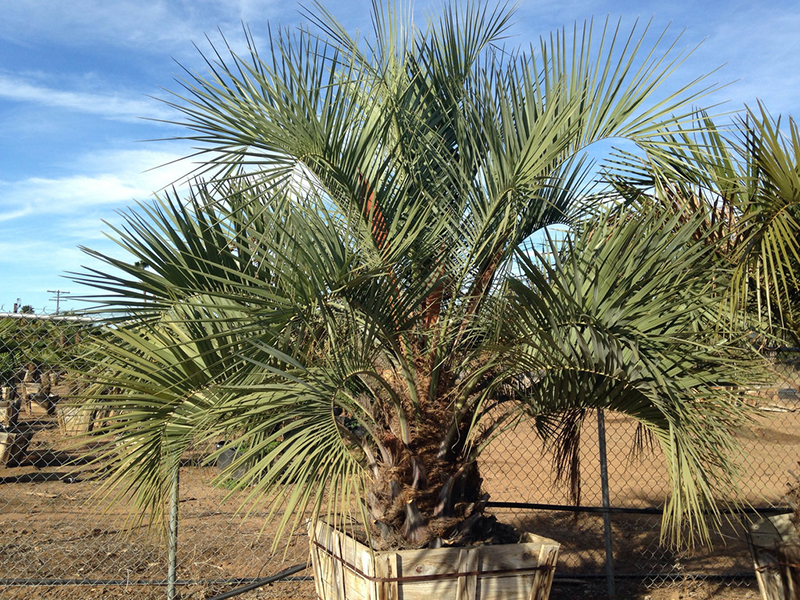 Please contact West Coast Trees for information and availability on Butia odorata (capitata).